This dish is from one of my Disney cookbooks. The original recipe is served at Chef Mickey's at Disney's Contemporary Resort. 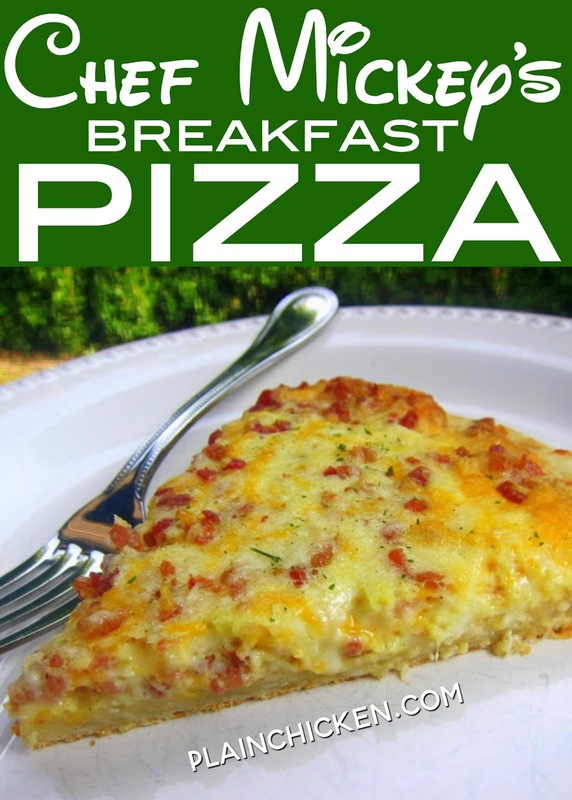 The original recipe was just a cheese breakfast pizza. I thought it needed a little something added to it, so I added some bacon. Chicken Legs wants me to add some green peppers and mushrooms next time. It was easy to make. It uses a precooked pizza shell as the base - I used Boboli. I was worried that the egg mixture was going to run off the crust, but it didn't. It baked up beautifully. We both really loved this! Place pizza crust on pizza stone or baking sheet. Whisk together eggs, cream, salt and pepper. Stir in the cheese and bacon. Immediately pour onto the pizza shell. Bake for 10-12 minutes, until the cheese mixture is set and lightly brown. Thanks for the idea and recipe. My husband and I often have "breakfast for supper" on Sunday nights. This would be a pleasant change from the usual fare. Can't wait to try it out! This looks delish! My current breakfast pizza recipe uses crescent rolls for the crust, but I think I'll like your version better - easier and tastier to heat up leftovers. Thanks! This looks great and like something my daughter would like before school in the mornings. One question: Do you think leftovers could be frozen and then reheated in a toaster oven? 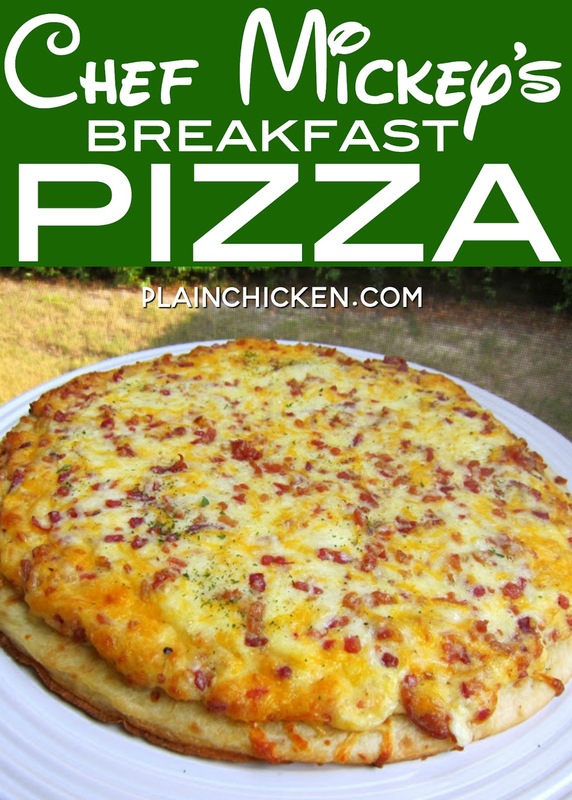 Definitely need to make this for the next time we have company - love breakfast pizza! What a fun idea. You definitely made the right choice with the bacon. I'll bet that cooked and crumbled sausage would taste great, too. Jack - that recipe looks great! I will be giving it a try this week. Yum! Can't wait to try this! This looks wonderful! How can you go wrong with pizza, cheese and bacon??? Yum! Made this for breakfast this morning and it was delicious! I used breakfast sausage instead of bacon and added green onion. It was so easy with the Boboli crust. This will definitely be a regular, thanks for sharing! Looks delish, but only 2 eggs? Seems like it would need more, but then I guess you risk it dripping off. LiveLoveLaughLearn - yes, 2 eggs. You can try it with more, but I think you are right about the mixture running off. Enjoy!